It’s been a roller coaster of intrigue, wild conspiracies, and legal proceedings. 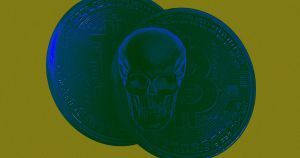 The widow of Gerald Cotten, the CEO of cryptocurrency exchange QuadrigaCX, says he died in December — taking roughly $190 million worth of blockchain currencies to the grave, and prompting conspiracy theories that Cotten faked his own death. Rumors swirled since shortly after the announcement of Cotten’s death, with Reddit and Twitter flooding with conspiracy theories. It’s true that things didn’t quite add up. A Cornell professor specializing in cryptocurrencies told told the New York Times that Cotten’s “death came at a very odd time in the history” of Quadriga. And Bloomberg reported that he filed his will just 12 days before his death. And an Indian death certificate, also obtained by CoinDesk, misspelled Cotten’s name. According to private Indian hospital Fortis Escorts, Cotten arrived in critical condition and with septic shock. The hospital revived him after a cardiac arrest, but he died after second heart failure, according to the statement obtained by CoinDesk. QuadrigaCX has 30 days to sort the situation out thanks to a stay granted by the Nova Scotia Supreme Court in Canada. But in the meantime, the drama shows no signs of letting up.